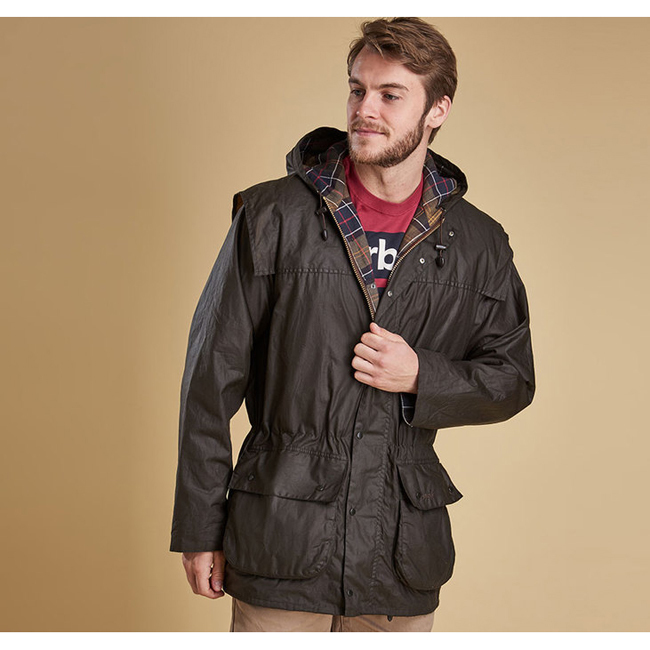 Made in Barbour's 4oz Sylkoil wax, this versatile men's waxed jacket offers functionality with a lightweight construction, making it ideal for keeping on standby for unexpected bad weather. Its interactive inner zip is compatible with Barbour's zip-in liners, for additional warmth when needed, while the two-way zip, robust stud fastenings, large hood and iconic cape detail provide reliable protection from the elements. With a relaxed fit, the Classic Durham features a drawcord at the waist and a studded cuff, allowing the fit to be adjusted for essential winter layering. The cotton lining showcases the signature Original Classic Tartan, providing an eye-catching contrast with the classic Olive colourway when the cuff is turned back.